Hey Beatle Brunchers, happy summer! It’s been a scorcher especially for Beatles’ news, and some of it’s pretty hot! Paul got back “Out There” in Albany on July 5th and the fireworks could be seen from every state. 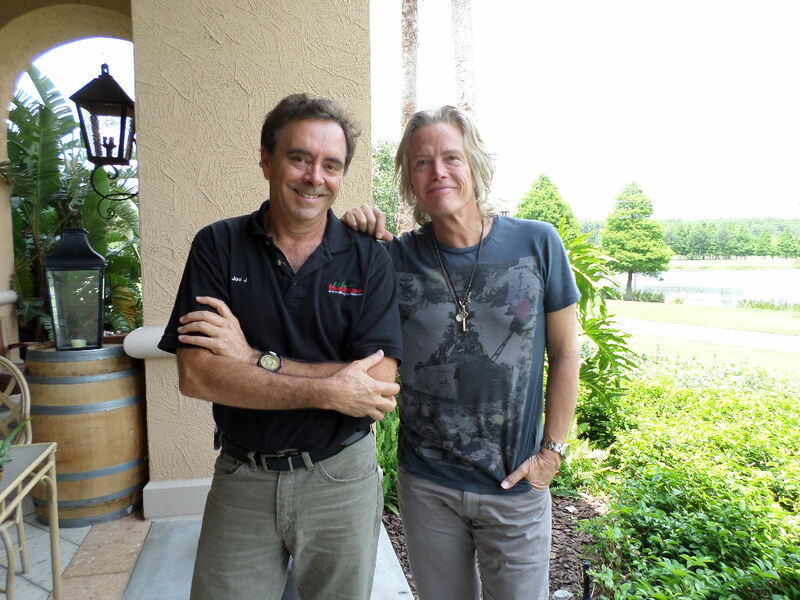 Joe Johnson got a one-on-one with Paul’s bass player and guitarist Brian Ray, who told Joe what it was like to be back on the stage with paul. He hasn’t lost a lick, in fact, “as if” Paul had “something to prove”, which he doesn’t, he’s Paul! See and hear Joe’s complete 16 minute interview with Brian here here . 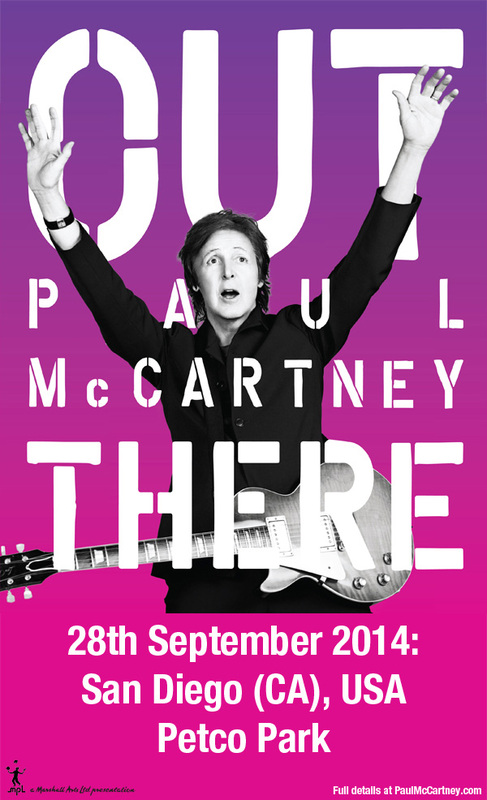 Paul’s even added a NEW show to his tour. Catch him in San Diego, September 28th at Petco Park. Our buddy Brian Ray also has some news: His new song from his band The Bayonets is out and Joe thinks it’s fab. “Crash Boom Bang” will blast onto Beatle Brunch the weekend of July 26th, but if you can’t wait, download the song at http://www.thebayonets.com or on i-Tunes. Joe J says it’s got the flavorings of The Standells mixed in with some Dave Clark Five. Brian plays a mean guitar and sings lead, and for the first time, plays harmonica on a Bayonets tune. BTW Brian tells Beatle Brunch about his new double-neck Gibson guitar, that has yet to grace the McCartney stage, but stay tuned, it’s going to show up on a Bayonets tune soon. Oh, and Brian and the band are hosting a charity album release party at No Vacancy in L.A. on July 24th. It’s free and open to the public, they just ask that you kindly make a donation to Adopt the Arts, which puts musical instruments into the hands of inner city schools. See the details on The Bayonets site. 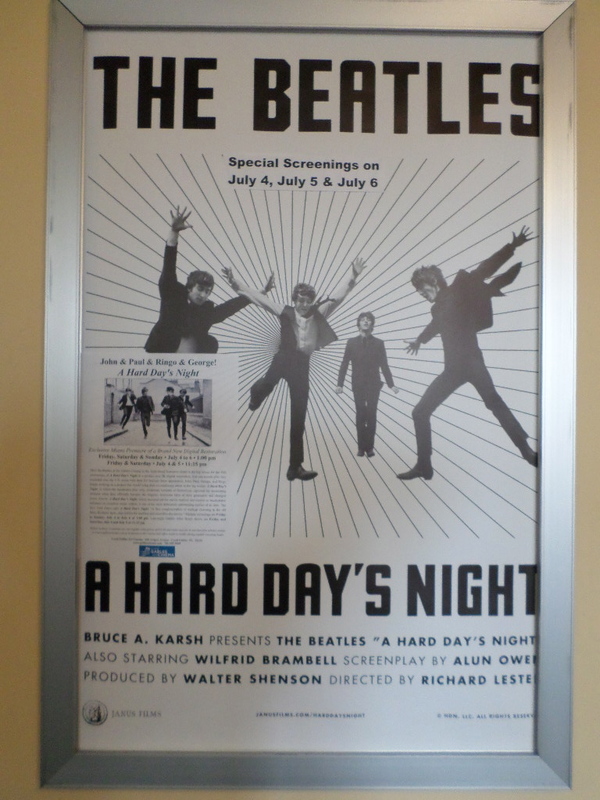 Many South Florida Brunchers attended the Miami screening of the newly remastered “A Hard Day’s Night” at The Gables Cinema on July 5th. This sold-out crowd got a chance to see and hear The Fab debut on the big screen in remastered clarity. Did you know the film is now SO clear, that you can read the words “Plaza Hotel” on the hangers holding The Beatles jackets when they dress for the final performance at the end of the film? Guess they nicked those from their trip to New York a few weeks before. Listen to WIN your DVD of A Hard Day’s Night on this weekend’s Beatle Brunch. And Beatle fans couldn’t be more excited, though we’re not surprised, to hear that the CBS Beatles special, The Night That Changed America, has snagged six Emmy Award nominations. 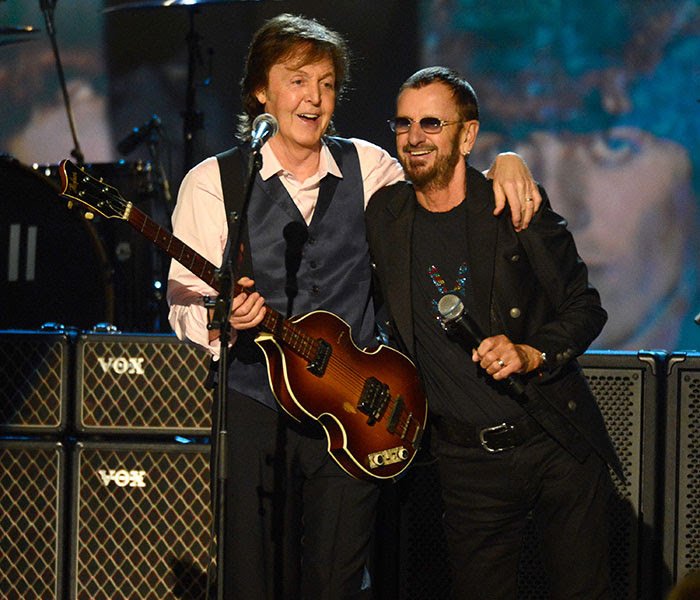 The star-studded program — which culminated with a live reunion of Paul McCartney and Ringo Starr after each had performed their own separate sets, was taped in L.A. on January 27th — the day after the Grammy Awards, and aired on February 9th at 8 p.m. — exactly 50 years to the day and hour that The Beatles made their live debut appearance on American television on The Ed Sullivan Show. The Night That Changed America has been nominated for Outstanding Variety Special; Outstanding Direction for a Variety Special; Outstanding Lighting Design/Lighting Direction for a Variety Special; Outstanding Music Direction; Outstanding Sound Mixing for a Variety Series or Special; and Outstanding Writing for a Variety Special. In addition to those Emmy nods, Paul’s appearance in NBC’s Best Of Late Night special for his performance of “Scrambled Eggs” with Jimmy Fallon is vying against The Beatles special in the Outstanding Variety Special category. McCartney and Ringo — who’s performances were among the highlights of The 56th Grammy Awards — is up against The Night That Changed America in the Outstanding Lighting Design/Lighting Direction For A Variety Special award. Are you a member of the BBC? Well there’s reason to believe! Your membership in the Beatle Brunch Club allows you to hear every week’s show on demand, and each week’s show has bonus content NOT broadcast due to time constraints, so join up today at http://www.brunchradio.com.